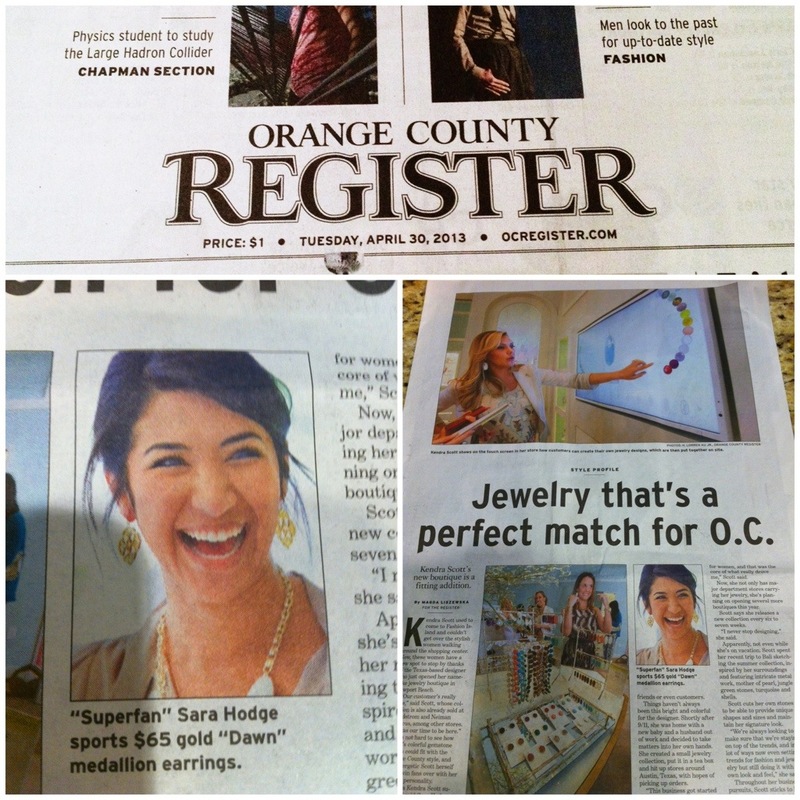 This article ran in the Orange County Register about the Kendra Scott store in Newport Beach. My picture and interview was in it!!!! BIGGEST shout out to my husband- thanks for getting up early and getting the paper with me before work; you made me feel so supported and happy!!! Special thanks to my gorgeous Mother In Law for waking me up, sending these pics and being so happy for me!!! Best wake up call ever.